I'm back! I took a week off of blogging to focus on some other stuff. Like having to buy a new dishwasher. Grrr! But within that week it seems we have Spring! Yes!!!!! We cracked the 50 degree mark to. It was almost 60 degrees. I even have flowers blooming in my front yard. I have never been more excited for Spring after this long snow filled dreaded winter. We still have some snow on the ground but it's pretty minimal. Have you ever had cheesy broccoli? If you haven't you my friend are missing out on one of life's most delicious treats! Everything tastes better with cheese. This is the only way my son will eat broccoli. I can't blame him. 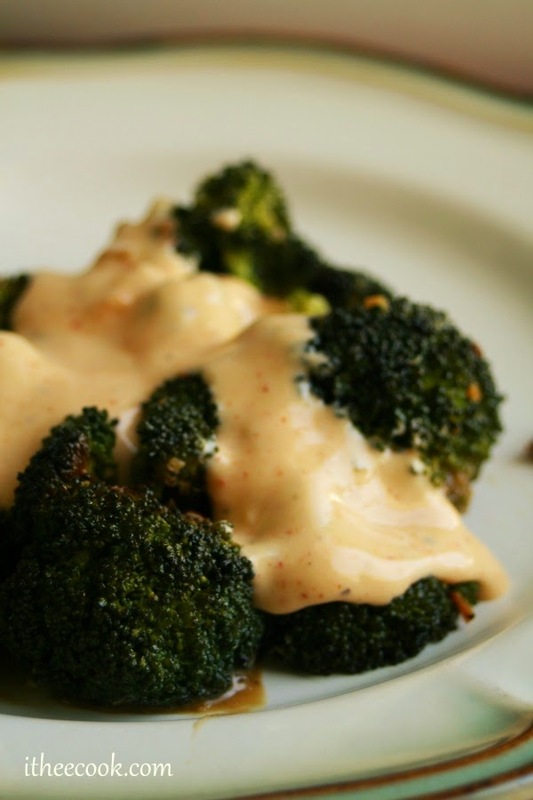 Blanched crisp broccoli doused with zesty and a tad bit spicy yummy cheese sauce. I'm tellin ya you don't know what you're missing. If you wan't you're kids, hubby or even wife to eat their veggies you have to give this a whirl! In a medium saucepan over medium heat, pour in the milk stirring constantly,mix in cheese, chipotle, black pepper, cayenne pepper and salt. Continue to cook and stir until cheese has melted and all ingredients are well blended, about 15 minutes. Heat a large pot of salted water to a boil. In a large bowl, fill with half ice and water. Cut up the broccoli while you wait for the water to boil. Add in vegetables and cook for 1 to 1 1/2 minutes, only until they’re slightly cooked through and tender. Scoop out vegetables and immediately move to the ice bath. Remove vegetables, drain in a colander. 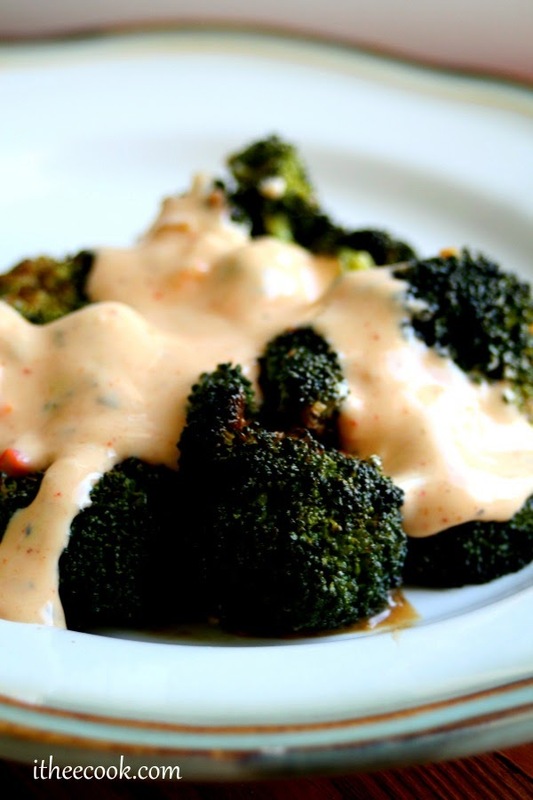 Place the broccoli in a serving bow land douse with hot zesty cheese sauce. Cheese sauce makes everything better! Love how you added the chipotle powder, that's a great idea to add in a little bit of a kick! Love it! Cheese sauce is how I got my children to eat their broccoli too! Thanks for sharing the recipe at Inspire Me Mondays! I love cheesy broccoli and your version sounds delicious with a nice spicy kick! Thanks for sharing at What'd You Do This Weekend? !